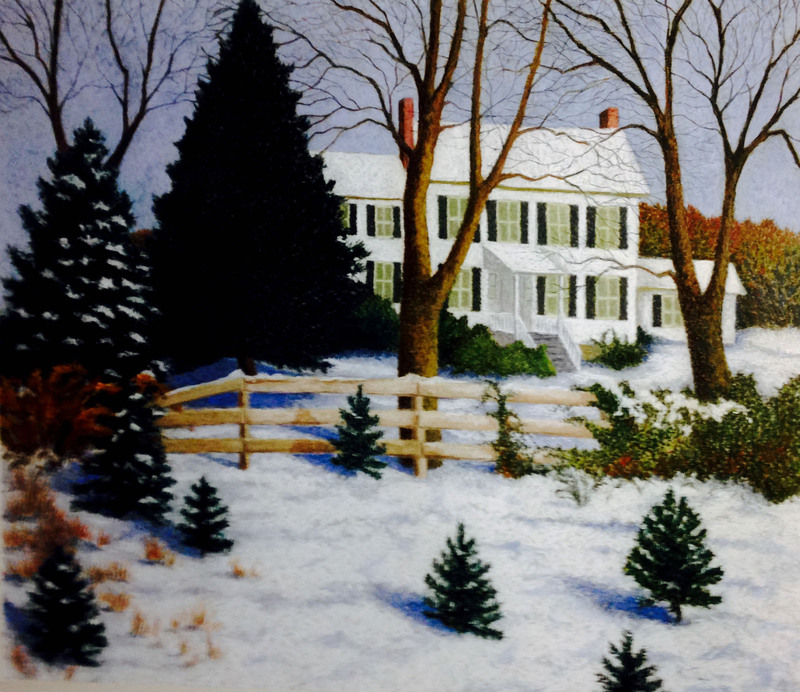 I grew up on 110 acres in Harford County, Maryland. In the 1960s, forty acres of our farm was taken by eminent domain for the construction of Interstate I-95. We were devastated by that event. (More on that part of the story can be found in the prologue of the book Saving the Places We Love). To block out the sight and the sound of the highway, we planted 30,000 evergreen trees – a very slow-growing sound barrier. Six years later, we started to selectively sell some of these trees at Christmas time. This turned into a wonderful family experience. My father, mother, sister and I planted 12 inch saplings in the wet ground each spring break, pruned them during the hot and humid summers, and then sold 6 to 8 foot trees on chilly weekend days each December. Over the years we sold enough trees to put my sister and me through college. The holiday season started for us on the weekend following Thanksgiving. We posted signs at the end of Bull’s Lane, and hundreds of cars with families would come in each weekend until Christmas. The kids would tumble out of the cars and go screaming off into the long rows of pines and firs. They would often take an hour or more to walk around in the “countryside” and check out all of our farm animals. They would then cut down a tree with a hand saw, drag it to their cars, and we would help them tie it on top. Mom would have hot cocoa ready for anyone interested enough to spend a few minutes chatting about life on a farm. It was fun, purposeful, and festive for us – and totally exhausting. When my kids came along, they would also join in the fun and the work – I believe this is where they got their work ethic, their love for the outdoors, and many fond memories for this time of year. I miss the farm but still enjoy seeing cars pass by with trees on their rooftops. We must have helped thousands of families enjoy their holidays over the four decades of selling trees. It was fun to hear people tell us about how long they had been coming to the farm and about the enjoyment they had seeing their kids and grandkids running through the same fields where they had cut their own trees back in the 1960s. Today, as our suburbs expand, many farmers struggle to keep farming alive. 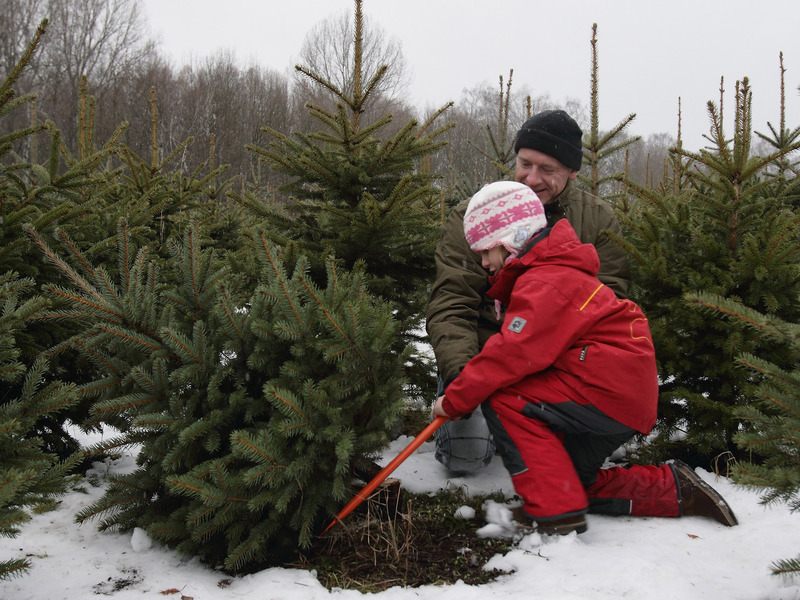 Christmas tree farming is one way to help farmers earn a living and also brings the community and the farmers together. Buying trees from places like TLV and other local farms is one way we can all help preserve our farmlands and keep this tradition alive. By nedtillman2 in Calls to action, Farmlands on December 17, 2014 .